A brow lift, also known as a forehead lift, is performed to restore a more youthful appearance to the upper face. It is designed to adjust the position of eyebrows, smooth forehead wrinkling, and tighten excess skin. A brow lift rejuvenates the eyes to give patients a rested, younger look. A neck lift is a cosmetic procedure that repositions both the skin and underlying supportive tissues of your neck. It is performed to improve structural definition and to tighten the skin for a more youthful appearance. A facelift is a surgical procedure that addresses the visible signs of aging in the mid and lower face and the upper neck. 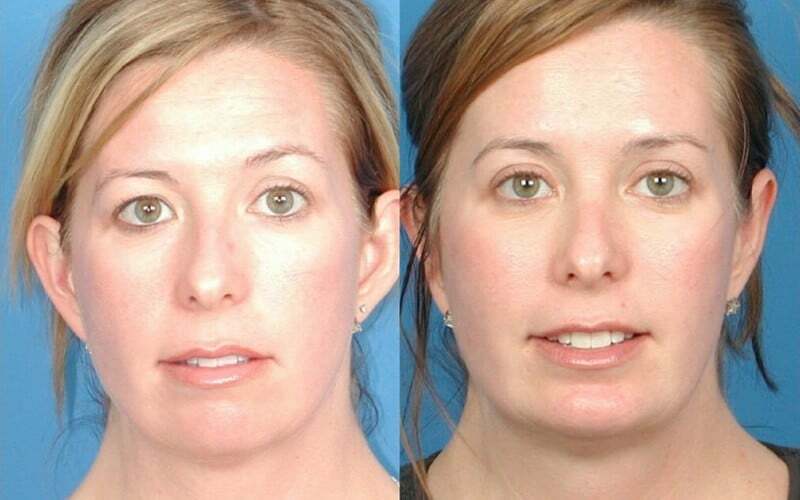 Dr. Beaty uses a variety of methods to smooth and tighten the skin of the cheeks, the chin area, and the upper neck. These include the ProLIFT™ technique that he developed, which is described below. During the procedure the skin is lifted and underlying muscle and tissue is repositioned to its former higher position. Excess skin is then trimmed. There are two types of facial implants, cheek implants and chin implants, that are used to enhance the contours of the face. The procedure can be used to alter and enhance the appearance of the face, or to restore youth to the face after the signs of aging have begun to set in. Rhinoplasty, or a “nose job,” is the surgical alteration of the nose to change its shape or improve its function. Through rhinoplasty, you can finally have the nose you’ve always wanted. During the operation, a plastic surgeon can reshape the nose to suit your needs, from eliminating humps to narrowing or increasing its size. To give the nose a natural appearance, the procedure often includes several parts of the nose, such as the tip, profile and width. This helps to ensure that the end result remains balanced and harmonious with the rest of the facial features. Blepharoplasty, commonly known as eyelid surgery, improves the appearance of the upper eyelids, lower eyelids, or both. Eyelid surgery removes excess skin, fat, and muscle from the upper and lower eyelids to decrease puffiness below the eyes, reduce wrinkles around the eyelids, and correct upper lid drooping. Otoplasty, or ear surgery, can improve the position or shape of the ear. It is often performed to correct a birth defect in the structure of the ear that becomes more prominent over time. However, otoplasty can also treat deformed ears that have resulted from an injury. Ear surgery is performed to improve the balance and proportion between the face and ears. This surgery is an elective procedure that is often used for cosmetic purposes. Facial liposuction is a minimally invasive procedure that is performed to create the ideal angles in the jaw, chin, and cheek area. The procedure, which may also be referred to as submental liposuction, targets excess fat cells that cause the appearance of jowls, turkey-neck, and overly-inflated cheeks. Performed under local anesthesia in most cases, facial liposuction provides a straight path to a more refined, more angular face.